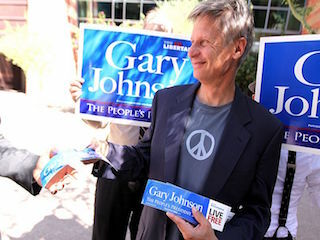 Fort Collins, Colorado: In the latest twist to an unpredictable election season, Libertarian candidate for President Gary Johnson has temporarily suspended his campaign in order to compete at next week’s Hacky Sack tournament in Boulder. The Daily Freier caught up with the candidate when their minivan stopped at a local brewpub/bike repair shop for a campaign rally. As the Daily Freier got up to leave, Governor Johnson discreetly asked us if we “wanted to go in on a bag“.